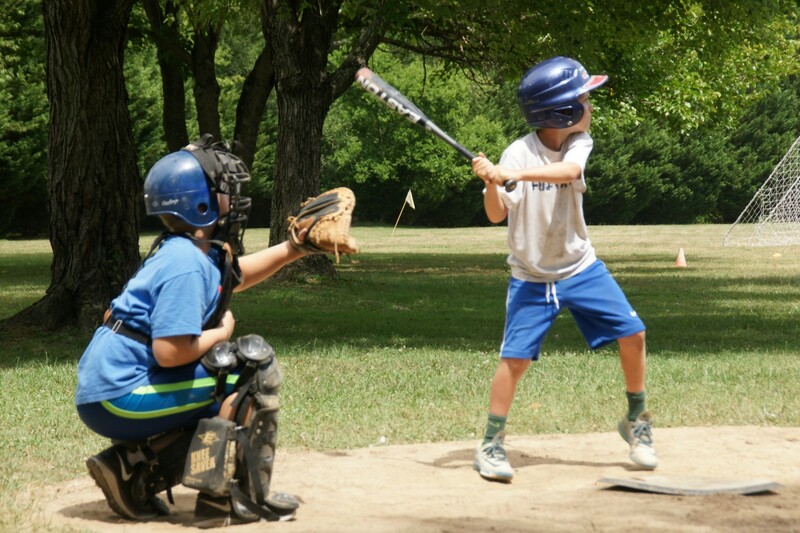 Campers at Camp Greenbrier have been playing baseball since the camp’s inception in 1898. 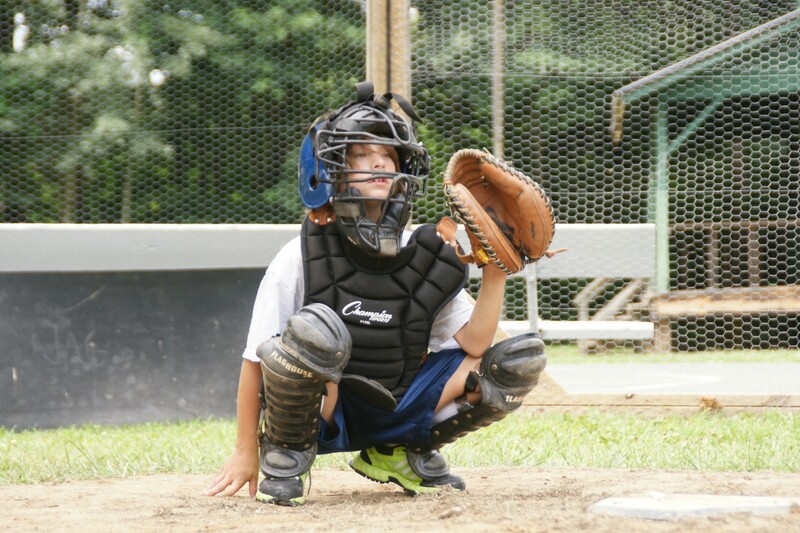 In the mornings, boys learn the fundamentals of the game. 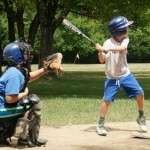 And on Monday, Wednesday, and Friday afternoons, campers play the games. 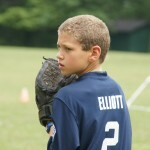 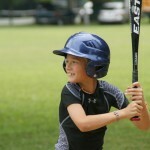 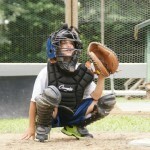 Campers who choose to play on a baseball team are put in one of two leagues, the Major League or the Minor League. 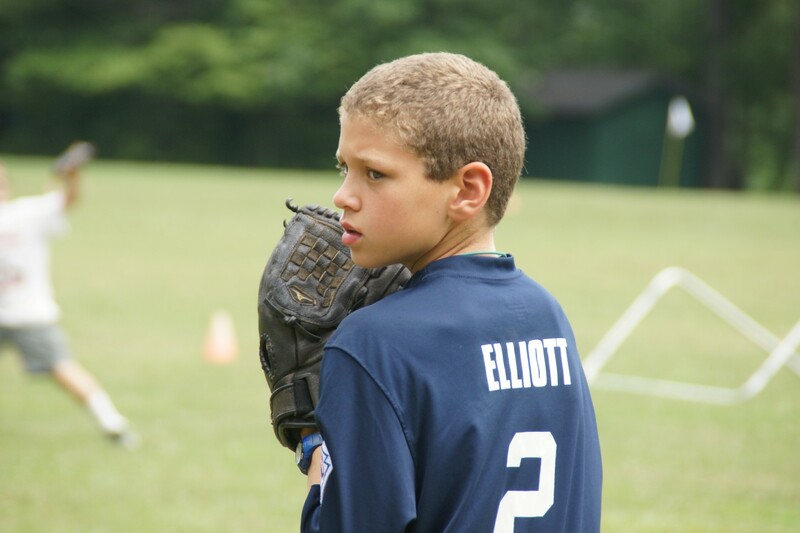 The Majors is for boys in Senior Camp, and the Minors is for boys in Junior Camp. 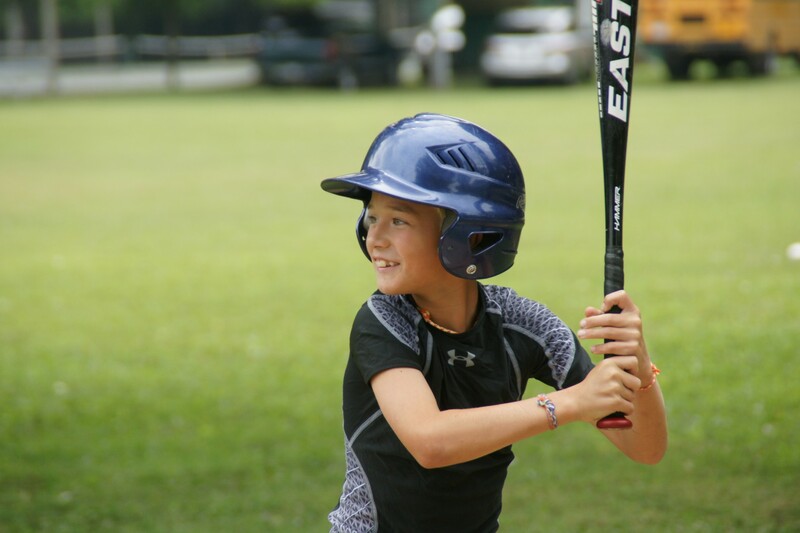 Each night during dinner, game announcements are made that tell about each day’s games, including who pitched well, and who got the big hit!